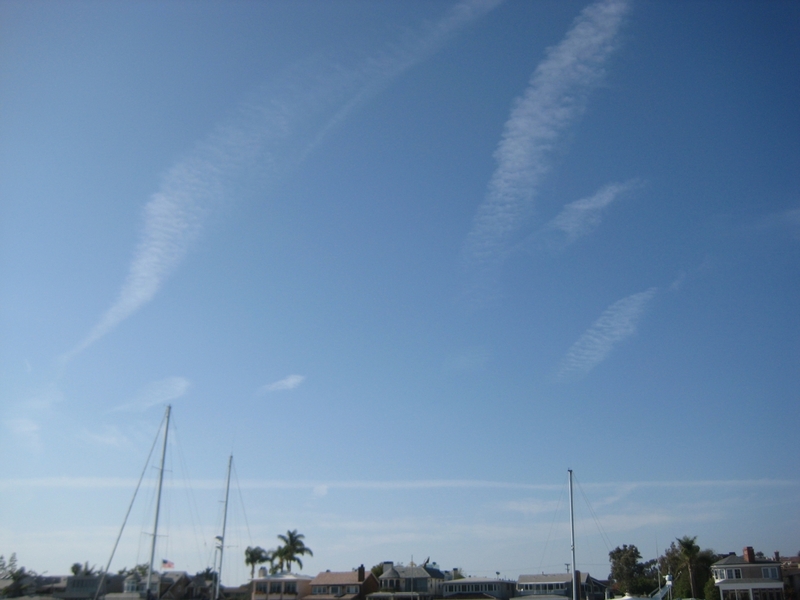 Urgent Alert: Throughout May of 2013, Southern California, home of 22 million people, received by far the most powerful daily aerosol attacks this writer has ever seen since learning of the Geoengineering issue in 2007. The sky remains whited-out and mountains ten miles away are barely visible due to toxic chemtrail fallout. Humanity, as motivated individuals of conscience, must unite and take immediate action to save lives and nature. Everyone must be informed quickly to stop this soft-kill murder operation, which is clearly escalating. Geoengineering, often referred to as Chemtrails, exists as a global nuisance for the primary purposes of causing severe bodily injury and premature death with malice aforethought. Geoengineering involves large aircraft constantly spraying tiny particles of aluminum and barium, amongst many other harmful toxins, into the air/atmosphere. All people and animals then inhale these toxins while breathing, without informed consent. 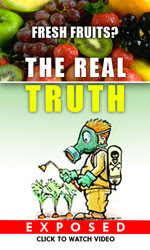 The toxins also poison the soil and fresh water sources. It is well known and documented that long-term exposure to air pollution consisting of particulate matter significantly increases the risk of dying from lung cancer and heart disease. Over many years, the danger of breathing soot-filled air is comparable to the health risks associated with long-term exposure to second-hand smoke. In 2010 alone, 1,200,000 Chinese were killed by particulate air pollution. The principle dangers of inhaling particulate matter applies to smoke and second-hand smoke causing lung cancer; coal miner’s lung (anthracosis), a lung disease due to inhalation of coal dust; and baker’s lung, inhaling flour and other allergens causes severe asthma. These dangers can be avoided, while Geoengineering particulate fallout cannot. On a massive scale Geoengineering will likely result in democide if not stopped completely. According to Professor R.J. Rummel of the University of Hawaii, Democide is the murder of any person or people by a government, including genocide, politicide, and mass murder. Democide does not include soldiers killed in battle. During the 20th Century (1900s) alone, Rummel calculates that government power was used to murder approximately 262,000,000 people. It appears that history is repeating itself with improved technology. Secondary purposes of Geoengineering include controlling the climate/weather for warfare and profits, and destroying the natural world while furthering the transhumanist/synthetic biology agenda. The evidence indicates that Geoengineering is an essential element of the elite’s Endgame move to depopulate the planet. The pubic must be educated and the stratospheric spraying stopped immediately. Photos by Writer. Taken during May of 2013 in Southern California. Use as you wish. Do Geoengineering and Chemtrails Exist? For the purposes of this article, “Geoengineering” and “Chemtrails” are defined as a military-industrial complex program, in partnership with private contractors and possibly major airlines, whereby planes spray particulate matter (particles/substances) into the atmosphere that otherwise would not be there. Simply searching for images and videos of Chemtrails online will quickly provide overwhelming visual evidence demonstrating that they exist all over the world. Thousands of images containing strange aerial spraying formations can be seen in a matter of seconds. Numerous documentaries like What in the World are They Spraying and Why in the World are They Spraying have been watched by millions of people. There is abundant documentation that Chemtrails exist. The Air Force’s 1990 Chemtrails chemistry manual is available online for download. Evergreen Aviation admits that it has chemtrail contracts with the Air Force. Exclusive lists of chemtrail patents are available. Congressman, Dennis Kucinich tried to stop Chemtrails with his Space Preservation Act of 2001. In 2010 Scientists and Aerospace Engineers presented conclusive evidence for Covert Stratospheric Aerosol Geoengineering, (aka “Chemtrails”) in a 336-page report called “Case Orange“. The term “Chemtrails” is in the text of 2001 legislation, (HR-2977) where “Chemtrails” are defined as an “exotic weapon”. The Case Orange report was commissioned by The Belfort Group, who held a “Chemtrail Symposium,” where the conclusions were presented by Aerospace Engineer, Dr. Coen Vermeeren. Germany and Sweden admit to Chemtrails. Many military whistleblowers like Kristen Meghan and Ben Livingston have courageously stepped forward to expose Geoengineering. Now, even government entities, such as the State of Texas, openly acknowledge that they are engaged in Geoengineering for weather modification. Private pilots have taken up-close videos that prove beyond all doubt that the population is being sprayed from planes above without informed consent. There is also video evidence of Chemtrails being turned on, then turned off, then turned back on again. Scientists and weathermen discuss Chemtrails, and many believe it is the most important topic in the world today. Scientist and researcher Clifford Carnicom and many others have sacrificed much to inform the public about the dangers of Chemtrails/Geoengineering. Governments spend billions of dollars per year on Chemtrail spraying without telling the citizens. Geoengineering programs are having the effect of blocking out sunlight. 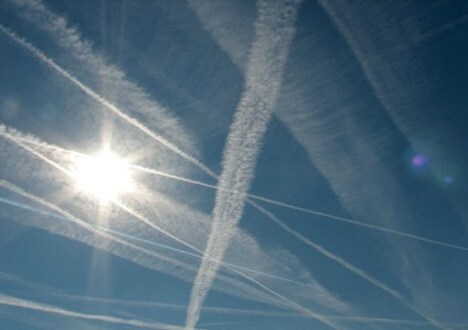 The emergence of the Chemtrails phenomenon coincided with an average 22% drop in sunlight reaching the earth’s surface. Even the New York Times recently published a story stating that the Globe Grows Darker as Sunshine Diminishes 10% to 37%. Geoengineering is not mentioned in the Times article and no place for readers to comment was provided. To be blunt, governments are Geoengineering and realize Chemtrail dangers yet refuse to protect the public health, safety, and welfare. Hundreds of laboratory tests reveal that the primary components of Geoengineering are aluminum and barium. Other components include Synthetic polymers, Ethylene dibromide, Morgellons disease, viruses, fungi, and bacteria. The toxic metal particulates are rapidly absorbed from the respiratory system and / or the gastrointestinal tract and are deposited in the lungs, muscles, and bone. According to Medscape, aluminum accumulation in tissues and organs results in their dysfunction and toxicity. If a significant load exceeds the body’s excretory capacity, the excess is deposited in various tissues, including bone, brain, liver, heart, spleen, and muscle. This accumulation causes morbidity and mortality. No living systems use aluminum as part of a biochemical process. 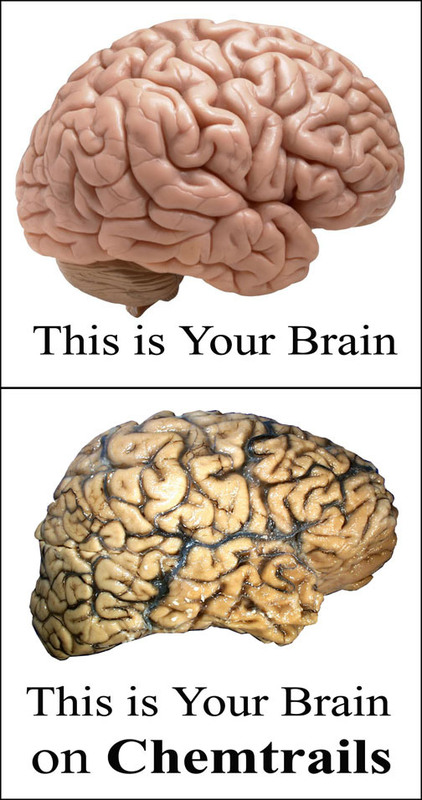 It has a tendency to accumulate in the brain and bones. The Material Safety Data Sheet for aluminum states that the most notable symptoms of aluminum poisoning are diminishing intellectual function, forgetfulness, inability to concentrate and, in extreme cases, full-blown dementia, and Alzheimer’s. Its toxicity also causes bone softening and bone mass loss, kidney and other soft tissue damage and, in large enough doses, can cause cardiac arrest. Additionally, aluminum is strongly linked to Autism. Sulphur is another toxin associated with Geoengineering. Laboratory tests with test animals indicate that Sulphur can cause serious vascular damage in veins of the brains, the heart and the kidneys. These tests also indicate that certain forms of sulfur can cause fetal damage and congenital defects. Mothers can even carry sulfur poisoning over to their children through their milk. Sulphur can also damage the internal enzyme systems of animals. There are still large numbers of people who remain in denial about the openly stated agenda for global population reduction, as well as the consequences of this program that are unfolding. Abundant evidence proves that a criminal global elite has been obsessed with eugenics and its modern-day incarnation, population control, for well over 100 years and that goal of global population reduction remains a priority. Chemtrails and Geoengineering are clearly part of the death agenda and represent the equivalent of spraying ants to death with a can of slow-acting poison. However, in this case, the poison is mega-tons of particulate aluminum, barium, and other toxins consistently sprayed from above, the can is a jet plane, and the target is humans. Scientific studies prove that breathing particulate matter associated with Chemtrails over time will harm and kill us. A 16-year study by New York and Brigham Young Universities proved that “long-term exposure to air pollution that contains high concentrations of tiny particles of soot and dust significantly increases the risk of dying from lung cancer and heart disease.” The researchers calculated that the number of deaths from lung cancer increases by 8% for every 10 micrograms of fine particulate matter per cubic meter, according to the study. Likewise, a study that analyzed 52 years of historical surface measurements of haze data in the Chinese city of Guangzhou demonstrated that the dramatic increase in the occurrence of air pollution events between 1954 and 2006 was followed by a large increase in the incidence of lung cancer. Many other reputable studies have also proven the link between particulate matter in the air, cancer, and death. The Welsbach Patent calls for megatons of 10 micron-size aluminum oxide particles to be spread in the atmosphere. The EPA calls particles this small “an extreme human health hazard” leading to 5% increased death rate within 24 hrs. Based upon the above studies, one must conclude that breathing Chemtrail fallout will harm and kill humans. Inhaling this environmentally suspended nanoaluminum will also produce tremendous inflammatory reaction within the lungs, which will pose a significant hazard to children and adults with asthma and pulmonary diseases. 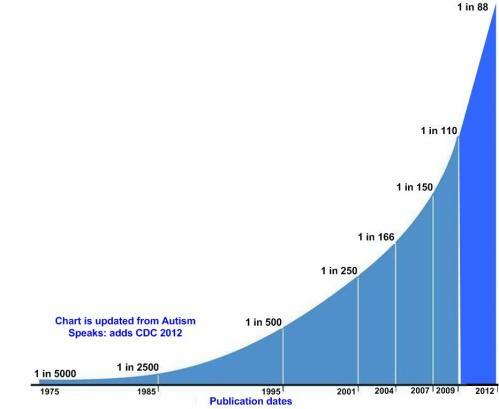 The rate of autism among American children has nearly doubled over the past decade, according to a report released by the U.S. Centers for Disease Control and Prevention (CDC), jumping from about one in 150 children back in 2000 to about one in 88 children in 2008. Currently, 1 in every 50 American kids has been diagnosed with autism yet the CDC pleads ignorance as to the obvious causes. The elite know very well what happens when children daily inhale particulate aluminum sprayed by planes while walking outside, playing at the park, or sitting in their air conditioned homes or classrooms. 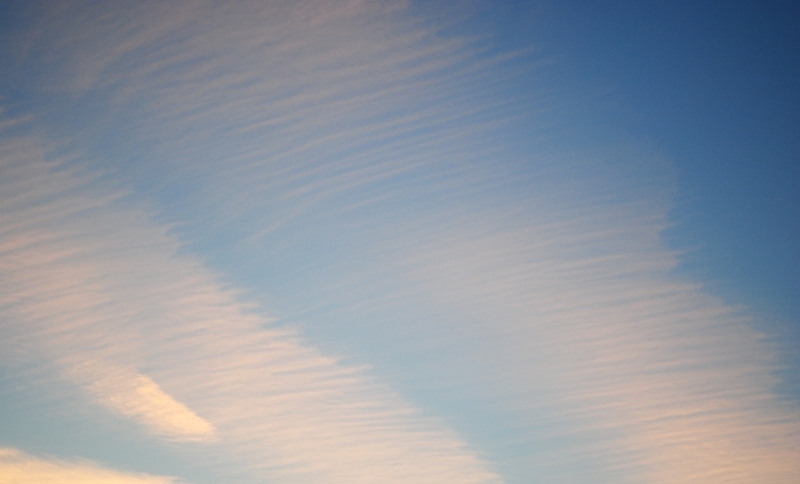 The actions of those involved with Geoengineering also demonstrate an intent to do harm. Obama’s top science and technology advisor John P. Holdren co-authored a book, Ecoscience, in which he advocated the formation of a “planetary regime” that would use a “global police force” to enforce totalitarian measures of population control, including forced abortions, mass sterilization programs conducted via the food and water supply, as well as mandatory bodily implants that would prevent couples from having children. Holdren also proposed Geoengineering at a 2007 Goldman Sachs Conference. Perhaps Holdren sees Geoengineering as the best method to cull humans into a “sustainable” population. Ted Gunderson, former chief of the Los Angeles division of the FBI, demanded that Geoengineering be stopped and referred to it as “death dumps… genocide, poison, and murder. This element within our society that is doing this must be stopped. This is a crime against humanity.” Gunderson also notes that the Geoengineering pilots are poisoning themselves and their families. According to one Chemtrail pilot, stopping Geoengineering may be our last chance to save humanity from psychopathic genocidal maniacs. As a population under physical attack from Geoengineering, we must know who is responsible for crimes against humanity and nature. David Keith is a professor at Harvard University and advocate of Geoengineering. He says that his team studied the toxic and harmful effects of Geoengineering on the population but did not publish their findings. Keith’s infamous quote on the dangers of Geoengineering is: “ And by the way, it’s not really a moral hazard, it’s more like free-riding on our grandkids. Steve Rayner is a Professor of Science and Civilization at the University of Oxford. He is one of the Co-directors of the Oxford Geoengineering Program. Steve was previously a member of the Royal Society Working Group on Geoengineering. David Victor is a professor at Stanford University and the University of California, Sand Diego. He also directed the science and technology program at the Council on Foreign Relations in New York, where he directed the Council’s task force on energy and was senior adviser to the task force on climate change. The Council on Foreign Relations is in essence the not-so-secret acting government of the United States, and in the view of many researchers, a powerful global crime syndicate that controls the mainstream media. Bill Gates is a radical eugenicist. In addition to sponsoring vaccine research to reduce the population, the Bill and Melinda Gates Foundation supports Planned Parenthood. Bill Gates’ father even served on the board of Planned Parenthood. In 2000, the Bill and Melinda Gates Foundation provided the International Planned Parenthood Federation (IPPF) $8,800,000. In its annual report, Planned Parenthood boasted that its affiliates around the nation performed 333,964 life terminating abortions during 2010-11, up from 332,278 pre-born deaths in 2009, the previous yearly record. The latest number represents an abortion performed every 94 seconds. Bill Gates and his globalist friends clearly have plans to reduce the world’s population. It must also be noted that The Bill & Melinda Gates Foundation purchased 500,000 shares in Monsanto in 2010, valued at more than $23 million. This is significant because Monsanto, known as one of the world’s most unethical companies, released an aluminum-resistant seed which is genetically modified to tolerate aluminum in high levels in the soil. The primary ingredients of Chemtrails are aluminum and barium, what a coincidence! 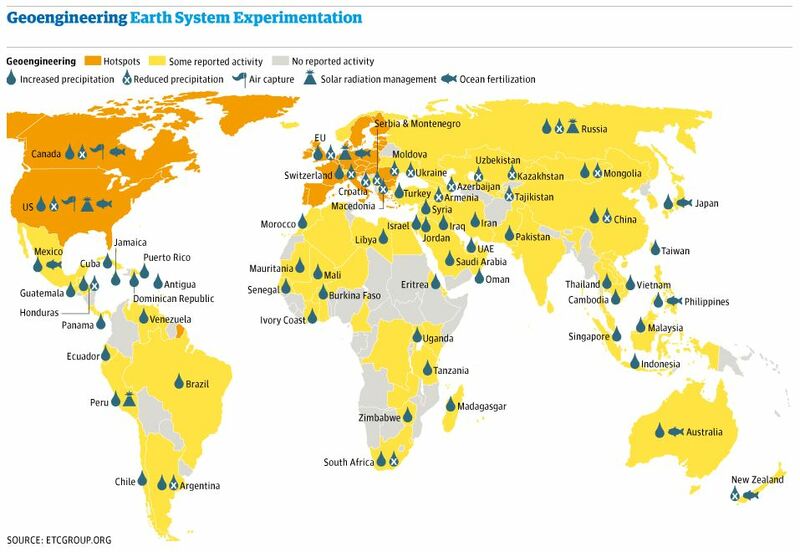 As well as Gates, other wealthy individuals including Sir Richard Branson, tar sands magnate Murray Edwards and the co-founder of Skype, Niklas Zennström, have funded a series of reports into future use of the Geoengineering technology. Branson, who has frequently called for Geoengineering to combat climate change, helped fund the Royal Society’s inquiry into solar radiation management last year through his Carbon War Room charity. Why would anyone trust these Malthusian Geoengineers adding toxins and heavy metals to the air we breathe? Individuals who still find it hard to believe that the purpose of Geoengineering is to kill should review the history of governments conducting tests on their own populations. The U.S. government has been repeatedly caught engaging in illegal bio-weapons tests over American skies that have maimed and killed not just animals, but humans. The history of US government biological testing includes deliberately infecting Americans with syphilis, malaria and other bacteriological agents. Indeed, the EPA’s own policy states that government and industry scientists can treat children as human guinea pigs in chemical experiments, which allows pesticides to be tested on mentally handicapped children and orphans. From 1944 to 1974, both the Defense Department and the Atomic Energy Commission conducted hundreds of secret experiments in San Francisco and around the country that exposed unsuspecting patients to dangerous doses of radiation, including injections of plutonium. In 2010, the US government had to issue an apology after it was revealed that 700 people in Guatemala were intentionally infected with sexually transmitted diseases in the 40s. The sexually transmitted disease inoculation study conducted from 1946-1948 in Guatemala was clearly unethical…Although these events occurred more than 64 years ago, we are outraged that such reprehensible research could have occurred under the guise of public health. We deeply regret that it happened, and we apologize to all the individuals who were affected by such abhorrent research practices. In England, The Ministry of Defense turned large parts of the country into a giant laboratory to conduct a series of secret germ warfare tests on the public. A government report provides a comprehensive official history of Britain’s biological weapons trials between 1940 and 1979. Many of these tests involved releasing potentially dangerous chemicals and micro-organisms over vast swaths of the population without the public being told. Let skeptics also learn of the darker side of America’s history before dismissing the dangers of geoengeneering. The Nazi’s eugenic policies were modeled after those of California. Elements of the [Nazi eugenics} philosophy were enshrined as national policy by forced sterilization and segregation laws, as well as marriage restrictions, enacted in twenty-seven states. In 1909, California became the third state to adopt such laws. Ultimately, eugenics practitioners coercively sterilized some 60,000 Americans, barred the marriage of thousands, forcibly segregated thousands in “colonies,” and persecuted untold numbers in ways we are just learning. Before World War II, nearly half of coercive sterilizations were done in California, and even after the war, the state accounted for a third of all such surgeries. 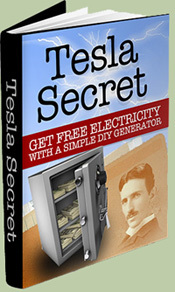 We should not overlook the fact that both Hitler and Trotsky were aided and funded by the U.S. elite power structure. A person shall not discharge from any source whatsoever such quantities of air contaminants or other material which cause injury, detriment, nuisance, or annoyance to any considerable number of persons or to the public, or which endanger the comfort, repose, health or safety of any such persons or the public, or which cause, or have a natural tendency to cause, injury or damage to business or property. As demonstrated by the studies summarized earlier, spraying aluminum, barium, and other toxins onto the public without any disclosure causes injury, detriment, nuisance, and annoyance to the public, and endanger the comfort, repose, health and safety of the public. According to the so-called elite, as they drive technological progress towards the singularity – man merging with machine (transhumanism) – the majority of humans will cease to have a purpose or even be able to function in a brave new world run by a scientific dictatorship, which is why the ruling classes have formally reached the decision to begin a ruthless program of extermination. Due to improved techniques the elite will have greater control over the masses; and because human work will no longer be necessary the masses will be superfluous, a useless burden on the system. If the elite is ruthless they may simply decide to exterminate the mass of humanity. If they are humane they may use propaganda or other psychological or biological techniques to reduce the birth rate until the mass of humanity becomes extinct, leaving the world to the elite. Geoengineering appears to be one to the elites’ primary methods culling the human herd. In addition to humans, the natural world dies around us due to chemtrail fallout because soil and fresh water sources are also being contaminated with aluminum and barium. Chemtrails are prevalent at Mount Shasta, California, where aluminum in pond water tested 24,000 times normal and snowdrift at 8,000 feet tested 122,200 times normal. Soil around a house (exposed to the air) in Northern California contained 3,000 times more aluminum than soil tested from under the house (not exposed to the air. Companies like Monsanto are engaged in planetary engineering, which includes bioremediation measures to bring us patented genetically engineered trees and crops, such as GMO corn, soy, and sugar beets that are in 90% of processed foods and strongly linked to numerous diseases including cancer. As discussed earlier, Monsanto has already developed an aluminum resistance gene for profit. And what of humans themselves? How are we being transformed from the inside out by the synthetic biology that is being sprayed in Chemtrails in addition to the heavy metals? To understand how Geoengineering is related to synthetic biology and transhumanism, please watch From Chemtrails to Pseudo-Life. The Dark Agenda of Synthetic Biology. As one specialist noted, ‘By the year 2018, technology will make available to the leaders of the major nations, a variety of techniques for conducting secret warfare, of which only a bare minimum of the security forces need be appraised. One nation may attack a competitor covertly by bacteriological means, thoroughly weakening the population (though with a minimum of fatalities) before taking over with its own armed forces. Alternatively, techniques of weather modification could be employed to produce prolonged periods of drought or storm… (Gordon J. F. MacDonald, “Space,” in Toward the year 2018, p.34). Ben Livingston, a former Navy Physicist known as the Father of Weaponized Weather, stated that he seeded clouds and dramatically increased rainfall in his theater of war, creating impassably muddy roads, which slowed down the Vietnamese and Korean troops during those wars. Livingston briefed President Lyndon B. Johnson on the effectiveness of weather control during the 1960s and says that technology to control weather was fully operational at the time. In 1996, the Air Force published Weather as a Force Multiplier: Owning the Weather by 2025, which is yet another official document indicating that Geoengineering is a military weapon of war. U.S. Naval Research Laboratory research physicists and engineers from the Plasma Physics Division, working at the High-frequency Active Auroral Research Program (HAARP – related to Geoengineering) transmitter facility, Gakona, Alaska, successfully produced a sustained high density plasma cloud in Earth’s upper atmosphere. Clearly Geoengineering is tied to weather manipulation, which can be used for purpose of covert wars on unsuspecting populations like our own. The true purpose of Geoengineering is death despite the hollow claims of Geoengineers that it is necessary to mitigate the negative effects of man-made global warming. The Lawrence Livermore National Laboratory and numerous other national and international panels of scientists have extensively studied ways to mitigate alleged global warming through schemes called “geo-engineering.” Edward Teller, father of the hydrogen bomb and Associate Director of LLNL, proposed injecting aluminum and barium dust particles high into the atmosphere to increase the amount of solar energy being reflected out into space as a way to offset the heating by greenhouse gases. Many scientific boards and committees have looked into this proposal and found it technologically feasible, but recognized that the legal and environmental hurdles would be too high to overcome to implement such a project–if done openly, so some proposed doing it covertly without informed public consent. Likewise, the Carnegie Institution for Science proposed to spray aerosol particles into the upper atmosphere to block out the sun and “tackle global warming,” noting the process would turn sunny blue skies into a hazy white (Chemtrails). In reality, the concept of man-made global warming was admittedly created by the Club of Rome, founded in 1968 by global elite kingpin David Rockefeller. Prominent members of the Club of Rome include Al Gore and Maurice Strong, both of whom are intimately involved with privately-owned carbon trading groups like the Chicago Climate Exchange, whose multi-million dollar profits are solely reliant on protecting the credibility of the man-made global warming thesis from skeptics who have challenged its legitimacy in light of scientific evidence and the Climategate scandal. On page 75 of their 1990 publication entitled “The First Global Revolution,” the Club of Rome outlined how they would manufacture ecological scares in order to manipulate the public into accepting the imposition of a dictatorial world government run by them. In searching for a common enemy against whom we can unite, we came up with the idea that pollution, the threat of global warming, water shortages, famine and the like would fit the bill … All these dangers are caused by human intervention … The real enemy, then, is humanity itself,” states the report, which can be read in full at the end of this article. Additionally, more than 1,000 dissenting scientists from around the globe have now challenged man-made global warming claims made by the United Nations Intergovernmental Panel on Climate Change (IPCC) and former Vice President Al Gore. The ClimateGate scandal revealed how top scientists conspired to falsify data in the face of declining global temperatures in order to prop up the premise that man-made factors are driving climate change. The hacked documents and emails illustrated how prominent climatologists, affiliated with the UN’s International Panel on Climate Change, embarked on a coordinated campaign to ostracize climate skeptics and use their influence to keep dissenting reports from appearing in peer-reviewed journals, as well as using cronyism to avoid compliance with Freedom of Information Act requests. Many recent studies also demonstrate that man-made global warming is nothing to fear compared to the toxic health effects of Geoengineering. A study of tree-rings concluded that the climate was warmer in Roman and Medieval times than it is now, and the world has been cooling for 2,000 years. Another report found that the world stopped getting warmer almost 16 years ago. The figures reveal that from the beginning of 1997 until August 2012, there was no discernible rise in aggregate global temperatures. This means that the ‘plateau’ or ‘pause’ in global warming has now lasted for about the same time as the previous period when temperatures rose, 1980 to 1996. Before that, temperatures had been stable or declining for about 40 years. NASA has also reversed its position that supported the now debunked man-made global warming theory. History provides a similar hoax justification for poisoning the population. In Britain from 1940 – 1979, the government told citizens that they were conducting tests to study the weather and pollution when in fact they were conducting germ warfare testing on millions of unwitting citizens. Lastly, Geoengineering is clearly not the answer to nonexistent man-made global warming as there is evidence that Geoengineering traps heat rather than cooling the earth. If the purpose of Geoengineering is not to inflict death and bodily injury, what is the justification and why the secrecy and cover-up? The only national governments to admit to Chemtrails are Germany and Sweden. Why does the U.S. government deny the obvious if its intentions are benevolent? Why deny what is seen by millions of Americans each day? Why deny what has been photographed, filmed, and documented millions of times? Citizens, like those of Mount Shasta, have had no luck getting answers from politicians and government officials regarding Geoengineering. 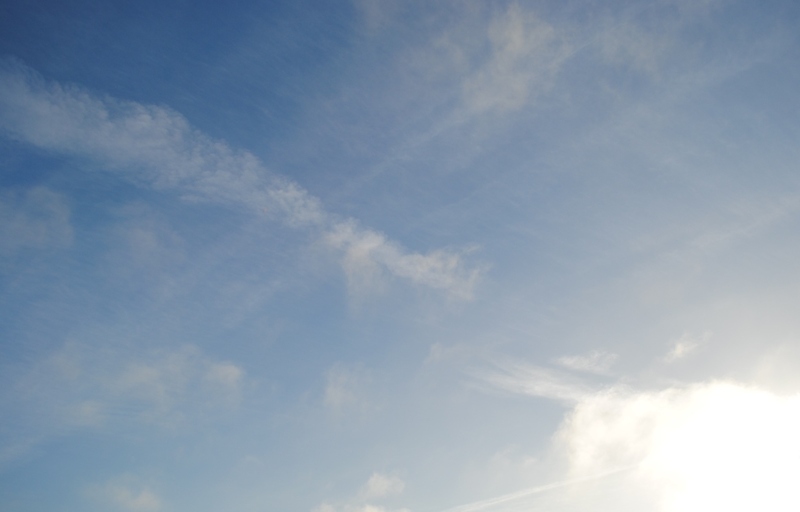 This writer personally emailed five (5) members of the South Coast Air Quality Management District’s Governing Board, simply asking them for information and their thoughts on Geoengineering. This writer did not receive one response, or even a confirmation that my email was received. Could local air quality board members be aware that the true purpose of Geoengineering is death by toxic fallout? Why won’t they protect their own families? Unlike refusing to working in coal mines, bakeries, and not smoking, one cannot avoid Chemtrails. However, there are simple actions that you can take to preserve your health. When Geoengineering is happening (in Southern California it seems like it may never stop), you should avoid spending long periods of time outside and keep your home’s windows closed. Using room fans and heaters rather than central heating units can also help keep the chemtrail toxins out of your home. The same applies at work, but you may also need to block AC vents above you. Drink enough water to stay fully hydrated so that the toxins are removed through sweat and urine. Do not drink water excessively or your body will lose needed minerals. 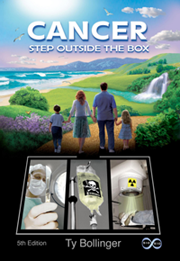 Gabriel Cousens, M.D., Dr. Ed Group, and others have metal detox programs. Eating a diet rich in organic greens is also essential. By far the best way to protect your health from Geoengineering is by taking action to impose a people’s injunction on the criminal activity, before holding trials for crimes against humanity. Despite the fact that we have been programed to accept Geoengineering through subliminal and overt propaganda, watching humanity, society, and nature destroyed by Geoengineering while the government denies that it exists can be very challenging on one’s mind. It is not easy watching Chemtrail planes when you know they are spraying you and your family with poison on behalf of elites desiring population reduction. While one may suffer temporary severe disappointment when learning of the issue, there is no reason to become cowardly, depressed, or to rely on pharmaceuticals to cheer you up while death abides around us. THE GOOD NEWS IS THAT YOUR LIFE HAS MEANING. The meaning of your life is to love your friends, family, and nature enough to take action towards exposing and stopping Chemtrails. Geoengineering is clearly one of the worst crimes in history, where people and nature are slowly murdered in plain view. It is up to you to stop it! You are the hero that the world and humanity needs right now! So choose who you serve. Do you serve God or Satan? If you are an atheist, do you serve the values of truth, love, and justice; or do you serve murder, death, and inequity? Because Geoengineering is already ongoing and the effects are known; staying neutral and not taking action is to serve death and in essence become an accomplice. To stop Geoengineering, we should learn from the man that exposed and stopped much segregation in the South, Martin Luther King, Jr. King was a master of bringing people of conscience together in order to end injustice. Today, humanity must form a united front and join together to stop death by Chemtrails. Educating others is the foundation of change. This means distributing flyers, speaking to your city council members, confronting air quality district board members, filing complaints, and filing public information and freedom of information requests. Lawsuits must be filed against the Air Force, EPA, Department of Health and Human Services, air quality management districts, and any private contractor or local government that is known to be Geoengineering. We must continuously email local, state, and national politicians, and stage public demonstrations to increase awareness. The new Skyderalert phone application may be helpful with this process. Once ten percent (10%) or more of the public is educated on Geoengineering, organized local and national campaigns will be needed to create tension in order to bring the issue to the public’s attention. From there, resolution will be possible – stopping all Geoengineering. There are many examples of this process. One is Monsanto’s genetically modified crops being banned from much of Europe because millions of people marched to create tension and awareness. Sheila Hemphill defeated smart meters in Brady, Texas. Adam Bonner, a farmer, defeated government CCTV cameras in Australia. Tony Rooke defeated a TV license fee and exposed corruption at the BBC. Michael Allison, the 41-year old Illinois mechanic who faced life in jail for video recording police officers, has had all charges against him dropped after a state judge ruled that his First Amendment rights had been violated, following a trend of similar rulings across the country that underscore the fact that it is not illegal to film police. Now it is our turn to defeat Geoengineering and stop Chemtrails. The evidence demonstrates that the primary purpose of the public nuisance of Geoengineering is to cause bodily injury and premature death with malice aforethought. The Geoengineers are well aware of the consequences of spraying tiny particles aluminum, barium, and other dangerous toxins into the atmosphere. Our mission is to stop them and it will be accomplished if we take continuous action to inform others. Too much grace. I try to do simply information. L’ha ribloggato su Governmental deception. A very good, well-documented overview of Chemtrails. I hope more people will wake up to what’s happening right above their heads. Paul Adams was good at writing it. Yes, hopefully it will be as you say, it is our duty to disseminate and inform. Thanks for your visiting, good things for you. So do we need to load up on gas masks? How can we protect ourselves ? Products chelating agents, is the only thing that can help us. But only a limited extent. Until next time, thanks for your visit. I enjoy what you guys are up too. Such clever work and reporting! Keep up the superb works guys I’ve incorporated you guys to my personal blogroll. I do accept as true with all the concepts you’ve offered in your post. They’re very convincing and will definitely work. Nonetheless, the posts are very short for newbies. May just you please extend them a bit from subsequent time? Thanks for the post. I put the article by Paul Adams equal to the original, I’m sorry. Thanks for your visit, see you soon. Yes, I’m always very careful, thank you. Happy of your visit, the next. The point of evaluating the effects of poisoning our air is not nessessarly the obvious problem. The problem is how can it be stopped, will it take a ground to air missle shooting one or more of them poison spuing jets from the sky. It takes people willing to sacrifice for this cause. The mother of all causes. Regarding the reference to Martin Luther King in this article,it must be pointed out that he was a fraud,a plagiarist and communist sympathizer whos handlers were part of an elite much like the elite behind chemtrails.In fact,the entire civil rights movement itself was a fraud,perpetrated by those seeking to destroy america`s cultural and racial homogeneity,via miscegenation and integration,for their own ends.Sorry to digress,but i hate seeing MLK used as an example to follow when he was not legitimate.As for chemtrails,i concur with the article.These programs are multipurpose with many sponsors and beneficiaries,and they provide no benefits to anyone except global elites,who have no conscience about destroying the environment or killing millions of people to advance their agenda. to manage them well, depriving them of their national identity. 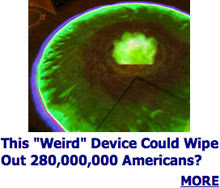 including that of annihilating and terraforming. Question from a million dollars. (ulp!) I think you covered it all. But isn’t life expectancy at an all time high? considering the ‘explosion of neurodegenerative diseases. I became sadly aware of Chemtrails a few short years ago. He’s famous for authoring “Physical Control of the Mind: Towards a Psychocivilized Society” for mind control on mass levels. [https://www.youtube.com/watch?v=T1GlDuhKHeo]. Its no longer hard to believe he’s also CFR Trustee and founder and Obama advisor [http://nexusilluminati.blogspot.com/2010/05/ brzezinski-fears-global-awakening-and.html]. Another good reference is: “Earth Rising II: The Betrayal of Science, Society and the Soul”. 2005. Delgado, José M.R., Physical Control of the Mind: Toward a Psychocivilized Society, Harper & Row http://www.bibliotecapleyades.net/sociopolitica/esp_sociopol_mindcon11.htm. Thanks for your visit, see you at the next. i think CHEMTRAILS has multi purpose,it also helps h,a.a.r.p. 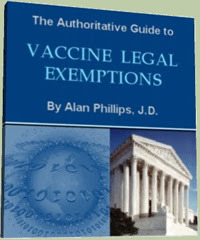 to work better,because of aluminum,potentionally fights the natural weather and planetary natural changes which accur naturally and are recorded thru out history and also prevents some high level of sun radiation and energy to reach us ,which is vital for our well being both phisical spiritual and overall envolvement dna upgrades…. I agree, I suggest you find out about transhumanism and land formation. There are people willing to do anything to stop these criminals. February 25, 2017 Early News . . . published as is, and I’ll correct it later, once it’s out . . . ~J | 2012: What's the 'real' truth?